Talking to people about your designs might seem like a basic skill, but it can be difficult to do efficiently and well. And, in many cases, how you communicate about your work with stakeholders, clients, and other non-designers is more critical than the designs themselves--simply because the most articulate person usually wins. 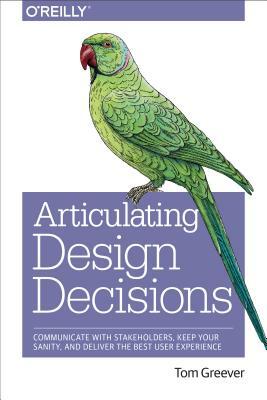 This practical guide focuses on principles, tactics, and actionable methods for presenting your designs. Whether you design UX, websites, or products, you'll learn how to win over anyone who has influence over the project--with the goal of creating the best experience for the end user.